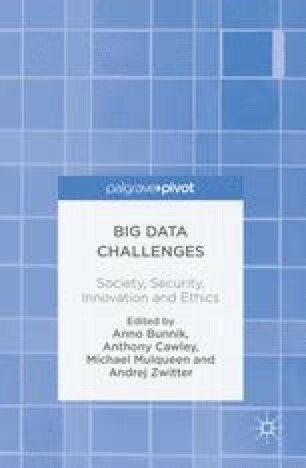 This chapter explores the broader security implications of the Big Data age. To what extent should state agencies make decisions on the basis of no other evidence than algorithmic sorting of messy, raw data? And how do these agencies marry innovation with ethics in order to prevent blowback from the media and public? Michael Mulqueen raises pertinent ethical problems and addresses the need for professional ethics in organisations working on security. It is argued that decisions to deploy Big Data are being made in the absence of any systematic epistemology or methodology to track and manage the influences of human intuition and social processes on that action.